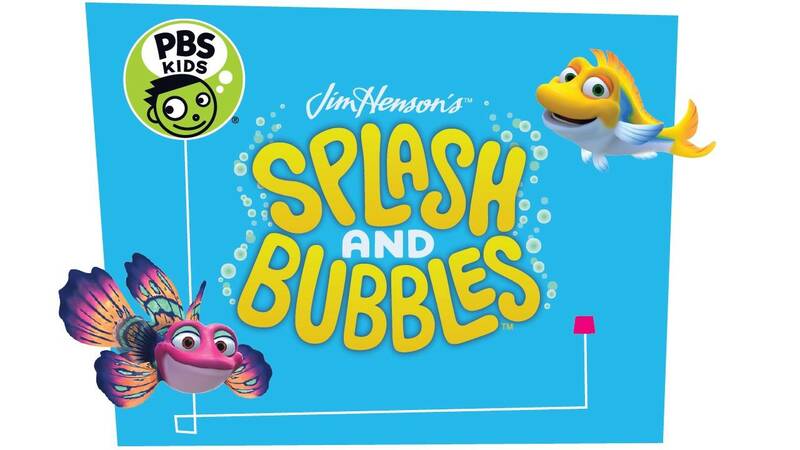 PBS Annual Meeting, Chicago, May 18, 2016 – Today at its annual meeting with PBS member stations from across the country, PBS KIDS announced the premiere date of its newest show: SPLASH AND BUBBLES from The Jim Henson Company (DINOSAUR TRAIN, SID THE SCIENCE KID) and Herschend Enterprises (Dollywood, Harlem Globetrotters). Using groundbreaking digital puppetry technology, the animated series will help children learn marine biology and ocean science concepts while building social-emotional skills. SPLASH AND BUBBLES will premiere Wednesday, November 23, 2016, on PBS stations nationwide (check local listings). Digital content related to the series, including games, apps and parent and educator resources, will be available beginning in fall 2016. The Jim Henson Company has remained an established leader in family entertainment for 60 years and is recognized worldwide as an innovator in puppetry, animatronics and digital animation. Best known as creators of the world famous Muppets, Henson has received over 50 Emmy Awards and nine Grammy Awards. Recent credits include the Emmy®-nominated Sid the Science Kid, Dinosaur Train, and Pajanimals, as well as the CG-animated preschool series Doozers and the upcoming digital citizen series for preschoolers Dot., and the upcoming Netflix series for young preschoolers Word Party. Features include Disney’s Alexander and the Terrible, Horrible, No Good, Very Bad Day, as well as The Dark Crystal, Labyrinth, and MirrorMask. Television productions include Fraggle Rock, the sci-fi cult series Farscape, Henson Alternative’s No, You Shut Up! and the recent TV film Jim Henson’s Turkey Hollow. Committed for more than half-a-century to Creating Memories Worth Repeating®, Herschend Enterprises is the largest family-owned attractions corporation in the U.S. Our team of more than 10,000 employees works daily to create wholesome, immersive entertainment experiences with soul and depth for every generation. With a focus on bringing families closer together, we create, develop and operate entertainment, tourism and hospitality properties spanning 24 locations in seven states, attracting over 14 million people annually. Today, our properties include the world famous HARLEM GLOBETROTTERS, award-winning theme parks like SILVER DOLLAR CITY in Branson, MO, and DOLLYWOOD, our partnership with Dolly Parton in Tennessee’s Great Smoky Mountains, top tier aquariums – NEWPORT AQUARIUM and ADVENTURE AQUARIUM, water parks, hotels, and other highly entertaining standalone attractions. As of Summer 2015, guests can also experience genuine Southern hospitality and storytelling from Dolly’s front porch with a visit to DOLLYWOOD’S DREAMMORE RESORT. For more information, visit www.hfecorp.com. The Corporation for Public Broadcasting (CPB), a private, nonprofit corporation created by Congress in 1967, is the steward of the federal government’s investment in public broadcasting. It helps support the operations of 1,500 locally owned and operated public television and radio stations nationwide. CPB is also the largest single source of funding for research, technology, and program development for public radio, television, and related online services. For more information, visit www.cpb.org and follow on Twitter @CPBmedia, Facebook, and LinkedIn.